What defines a French fry? Is it the potato? Is it the cooking method? 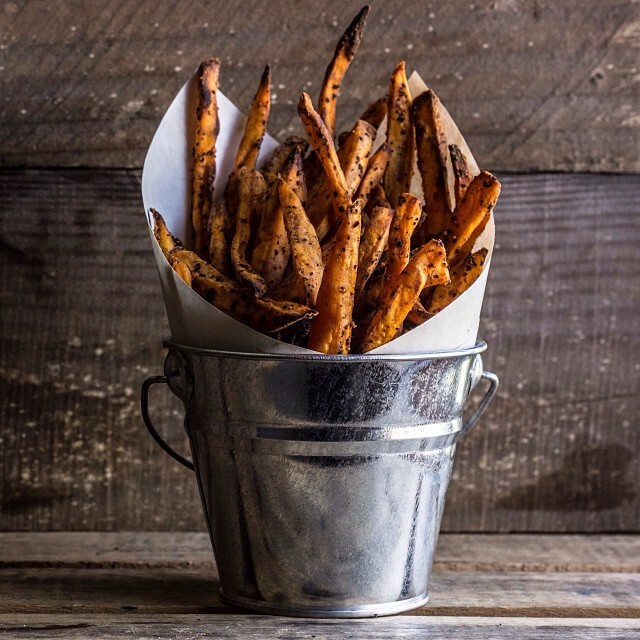 Here are 8 French fry suggestion from classic potato to eggplant, each paired with the perfect dipping sauce. 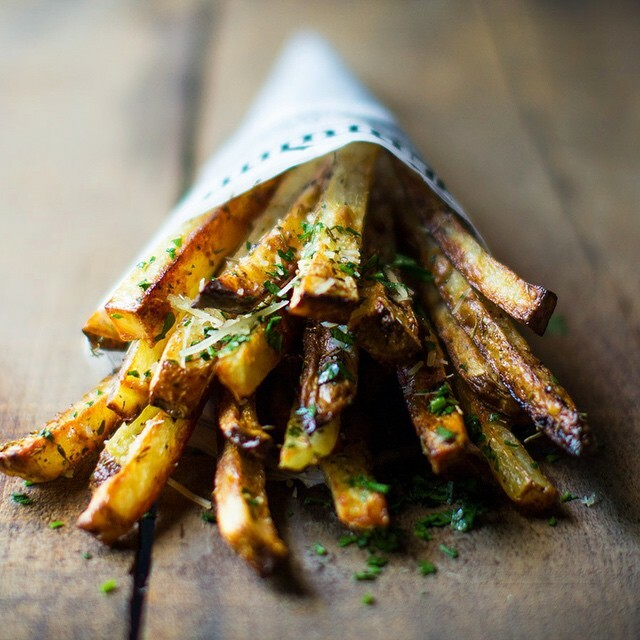 These garlic fries are perfectly seasoned and come with two perfectly paired dipping sauces. Get the recipe. 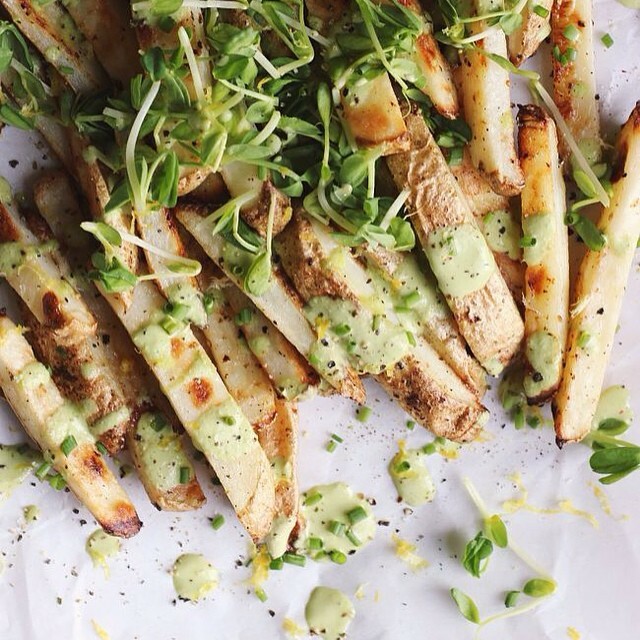 With the fresh green sauce, these oven-baked fries are a healthy complement to any cookout. Get the recipe. 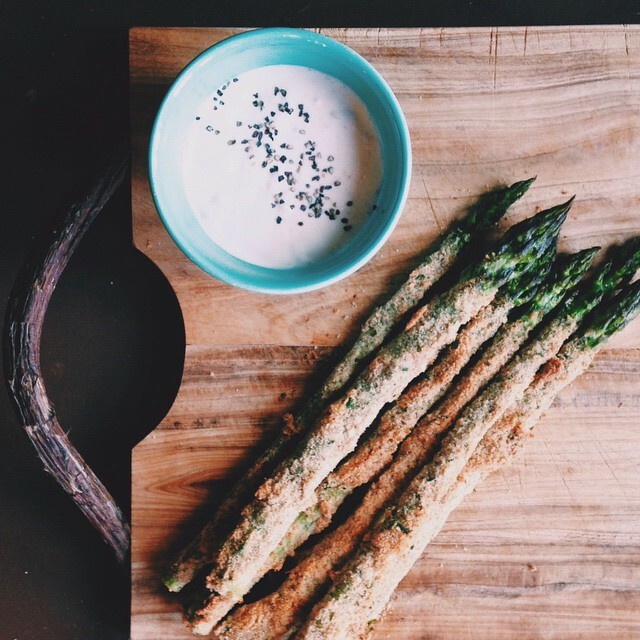 Lightly breaded asparagus stalks have a satisfying crunch but in that healthy way. Get the recipe. 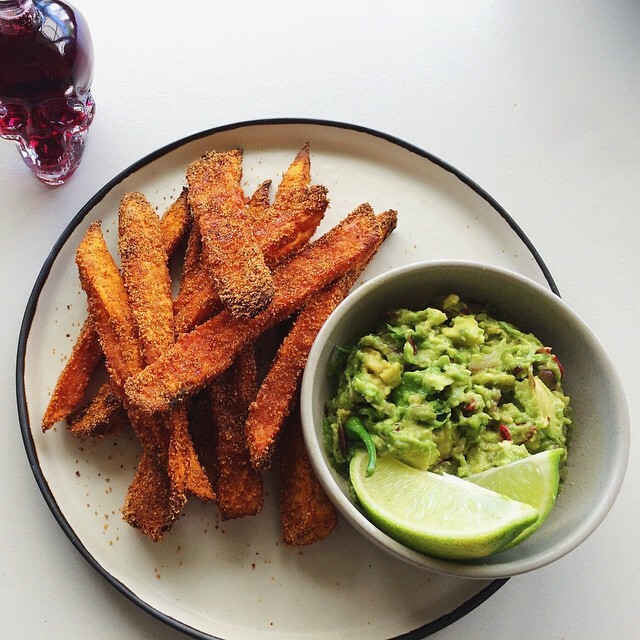 Who needs ketchup when you can dunk these fries into guac? When slathered in maple syrup, roasted carrots take on a carmelized sweetness. Get the recipe. 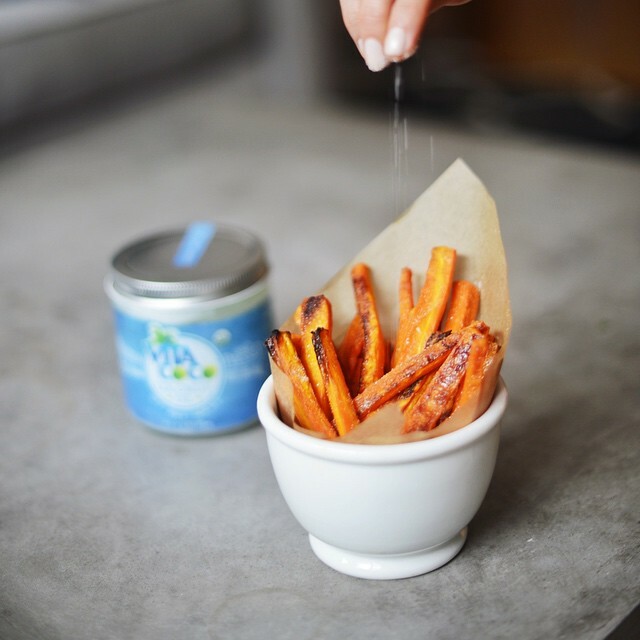 Baked fries are delicious, of course, but we can't resist the bite of the horseradish aioli. Get the recipe. 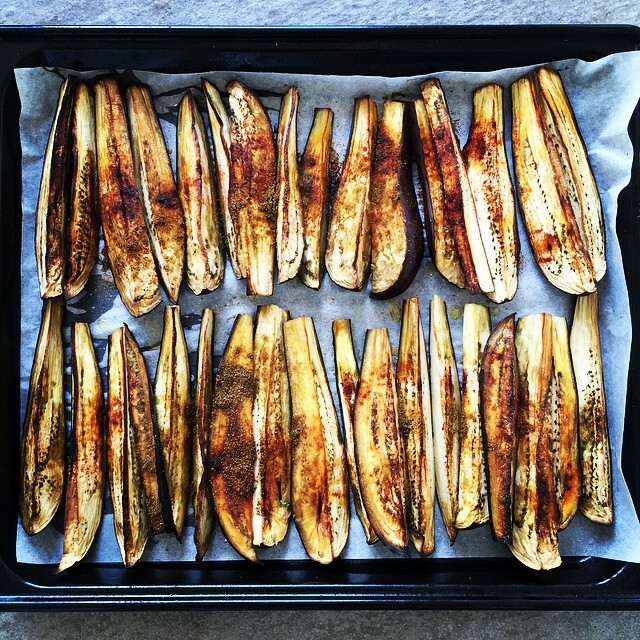 Roast eggplant strips for a colorful potato alternative. Get the recipe. 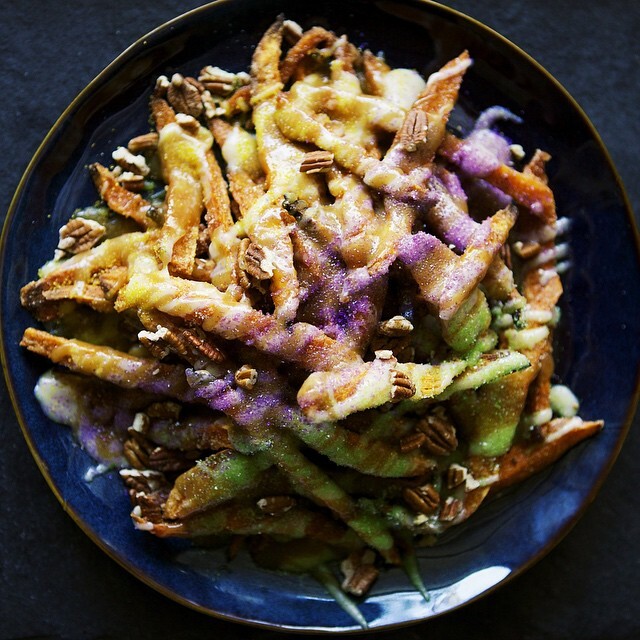 A twist we've never seen before: poutine-style dessert fries for Mardi Gras! Get the recipe.